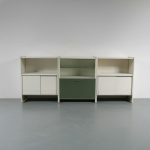 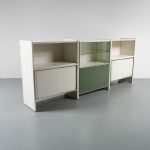 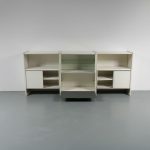 This eye-catching cabinet contains three units. 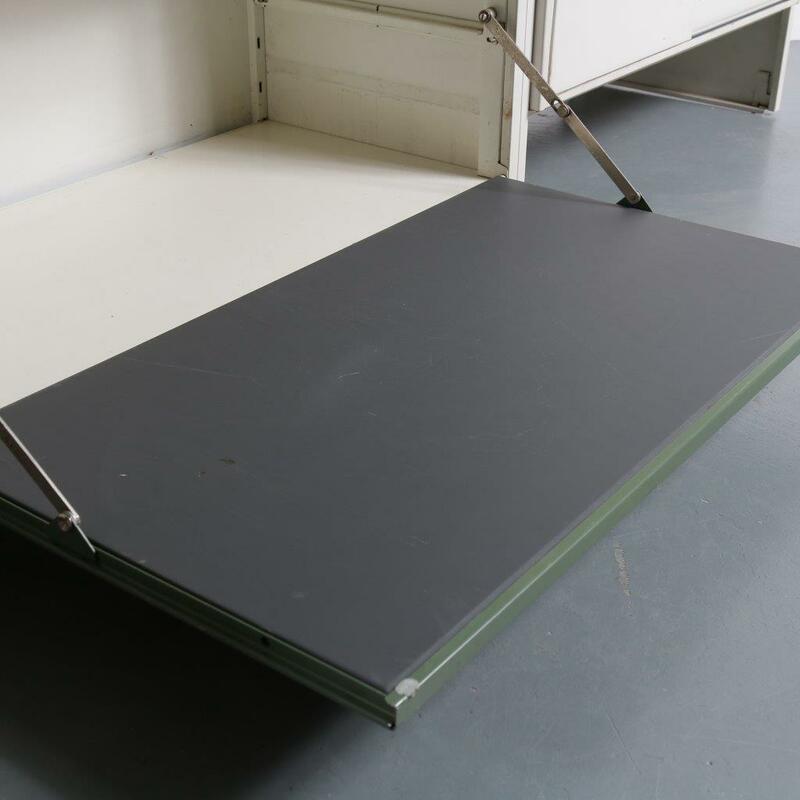 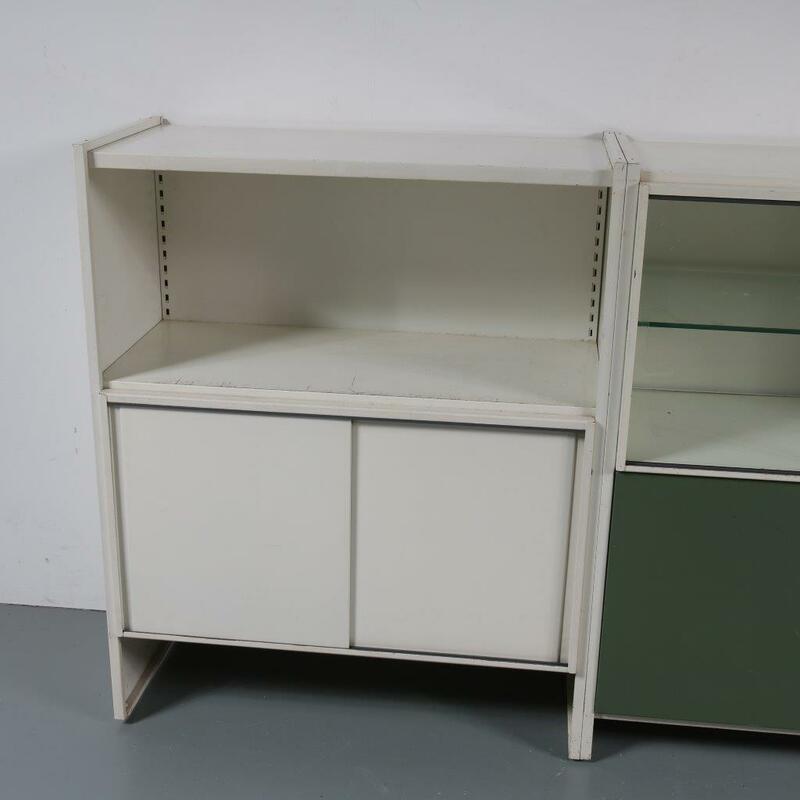 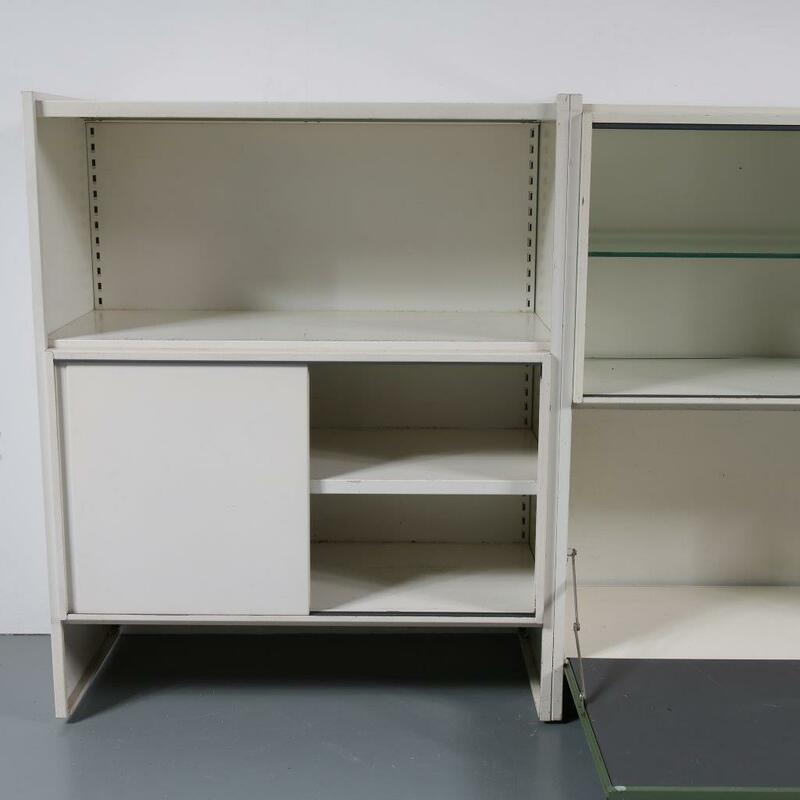 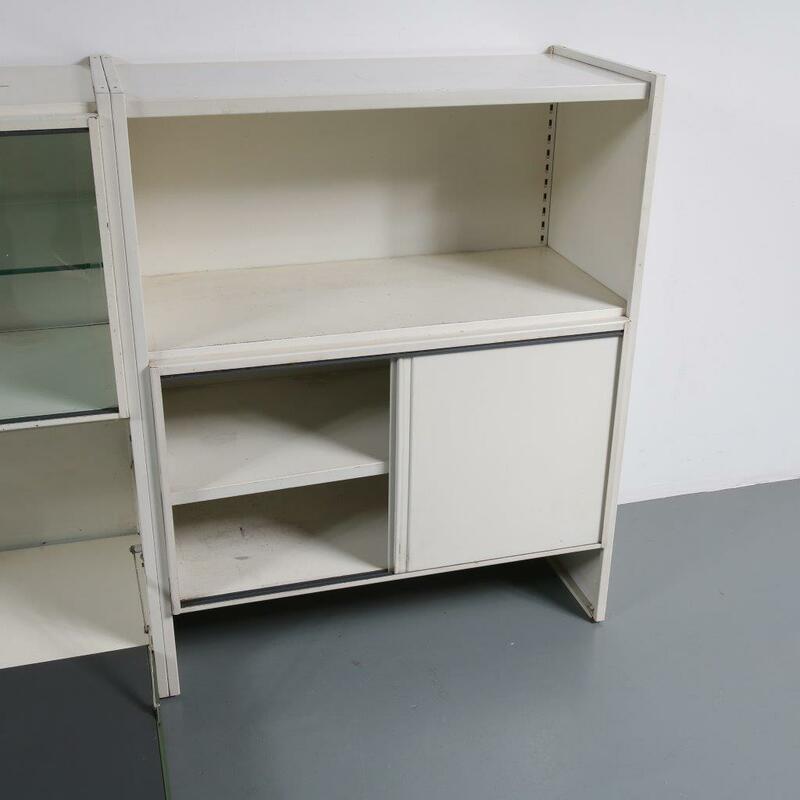 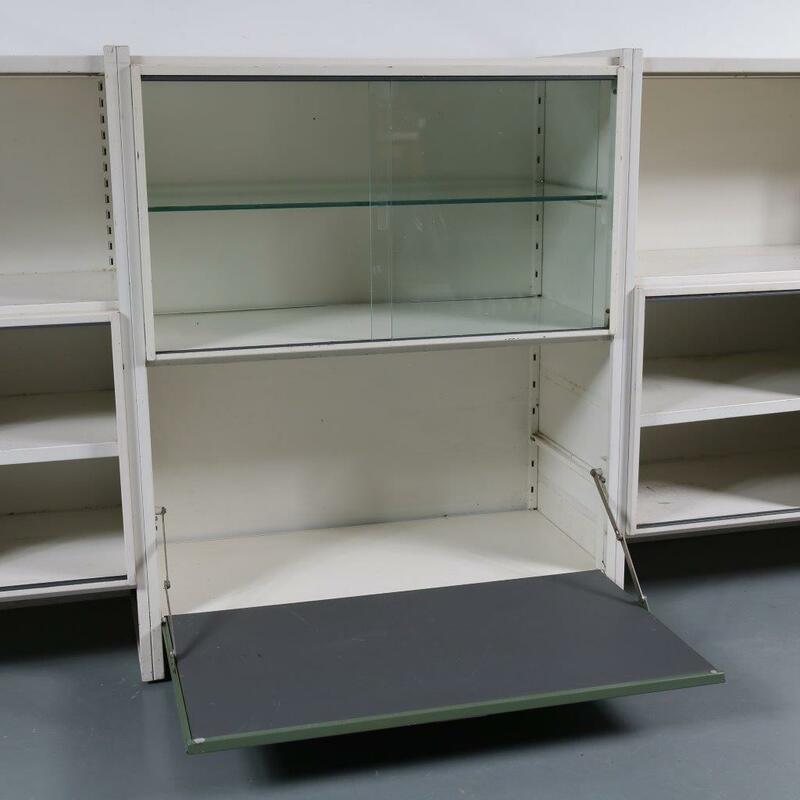 The two outer units are made of white metal with a door revealing shelves, and a display shelf above it. 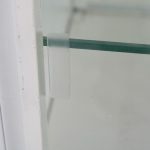 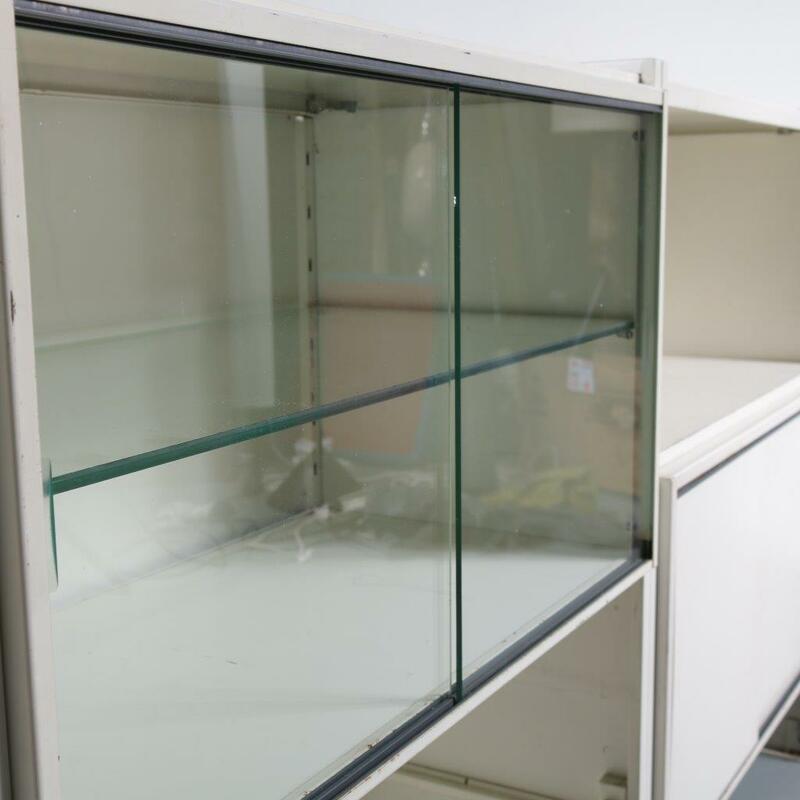 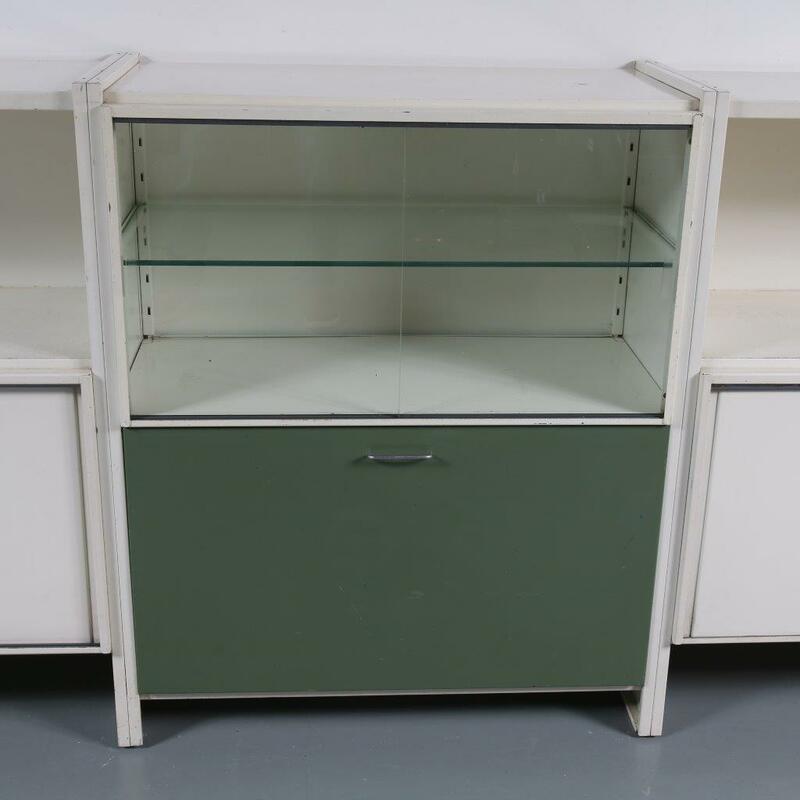 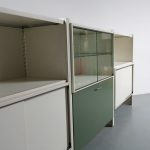 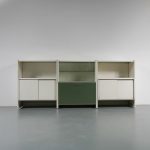 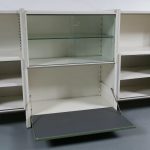 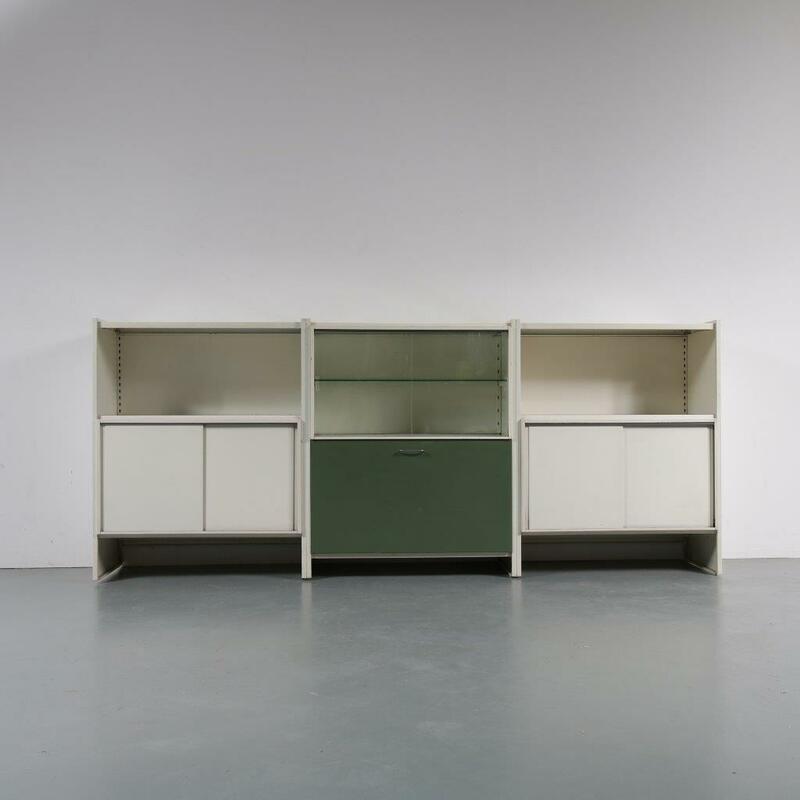 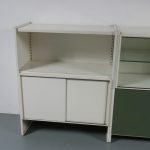 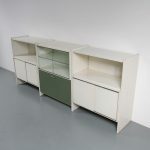 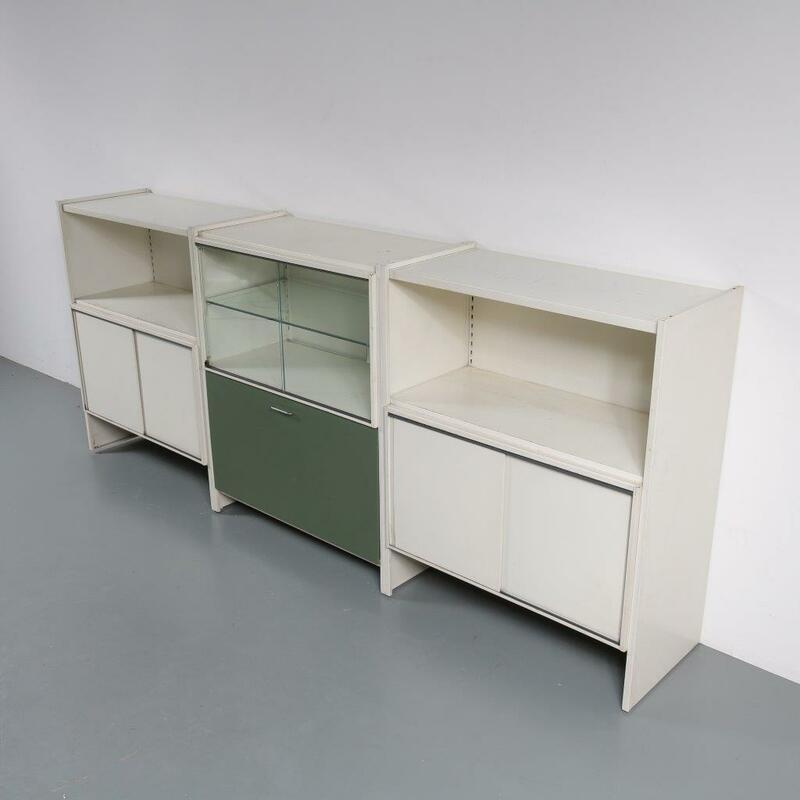 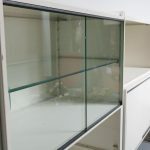 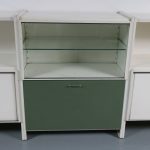 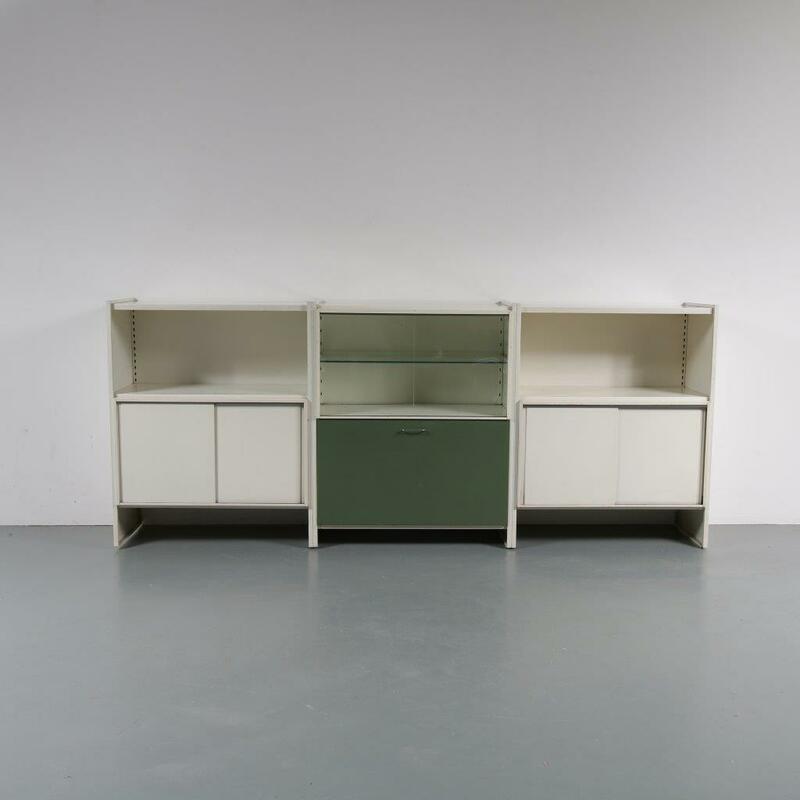 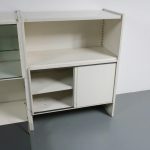 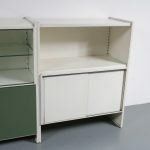 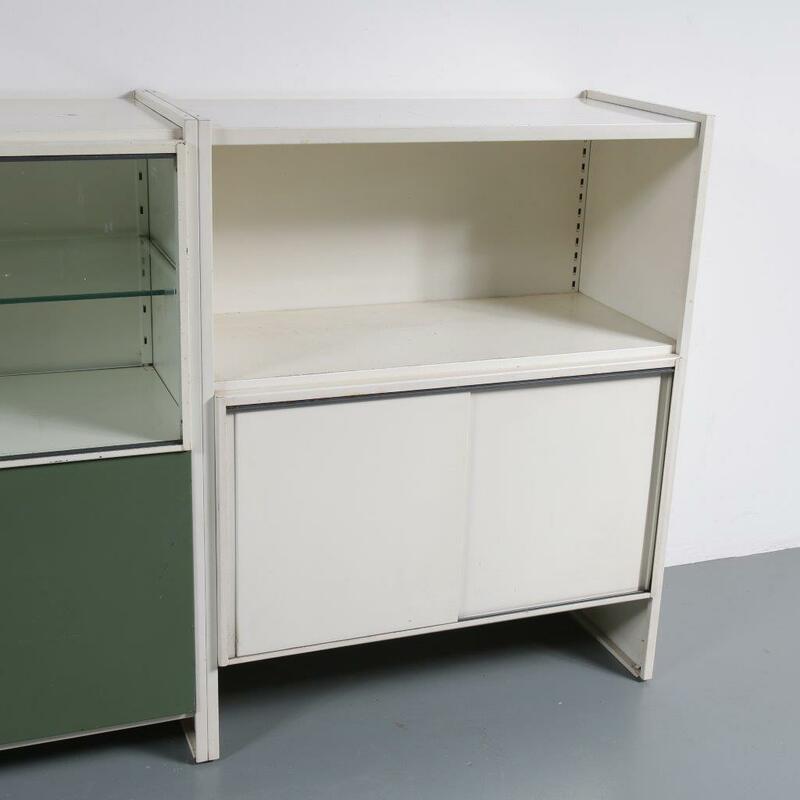 The center unit has a green coloured door, as a nice colourful touch, and a display unit with an additional glass shelf for extra storage space. 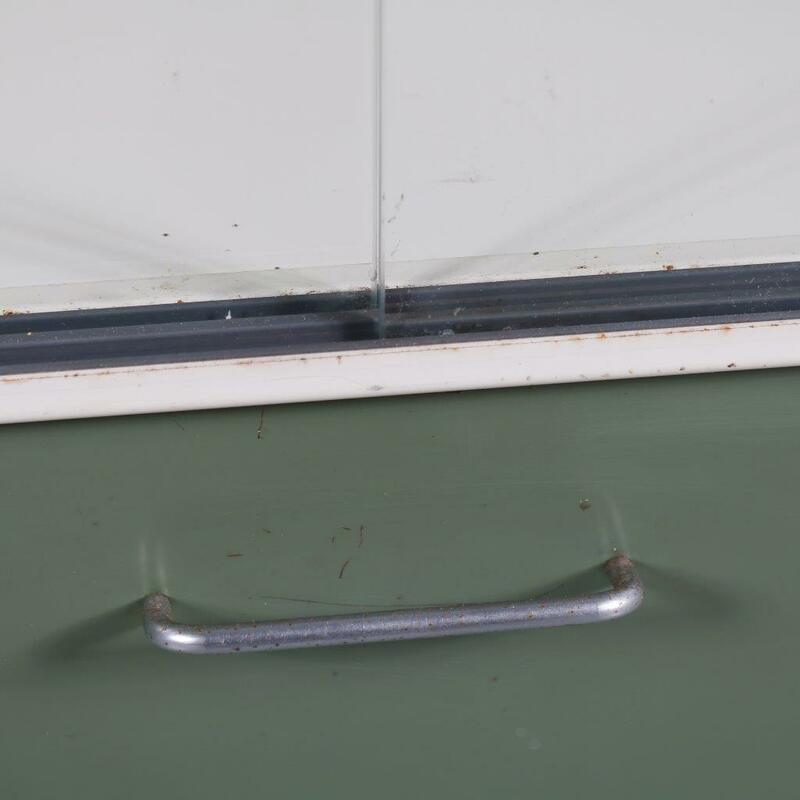 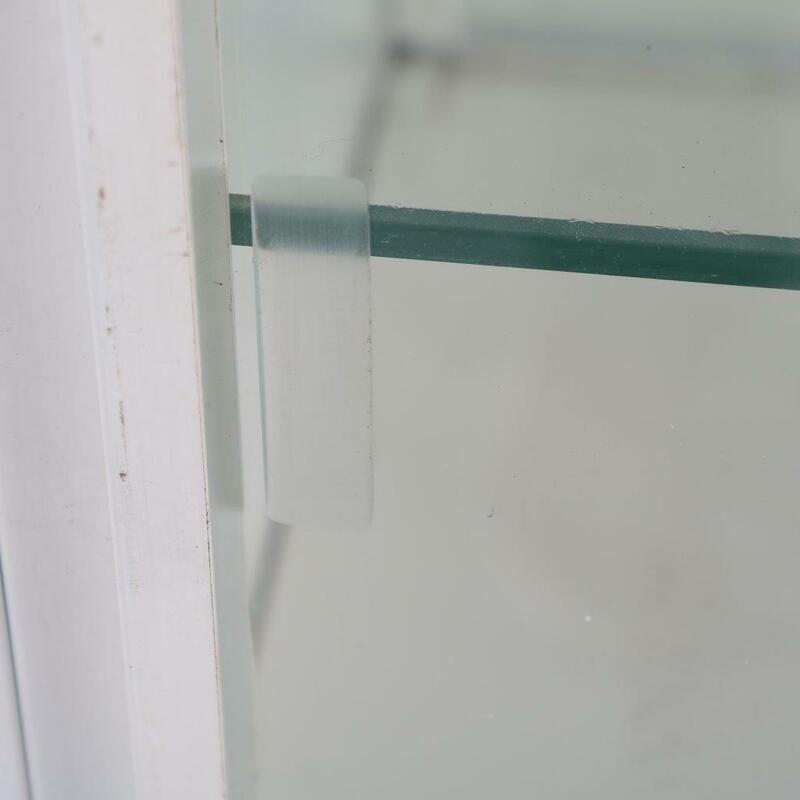 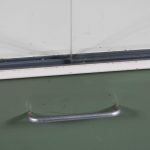 The chrome plated metal handles are the ideal finishing touch to the piece. 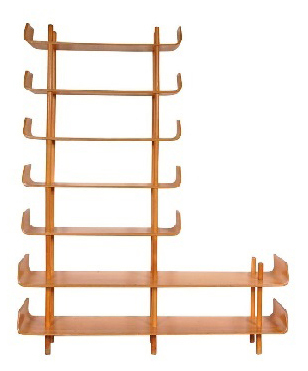 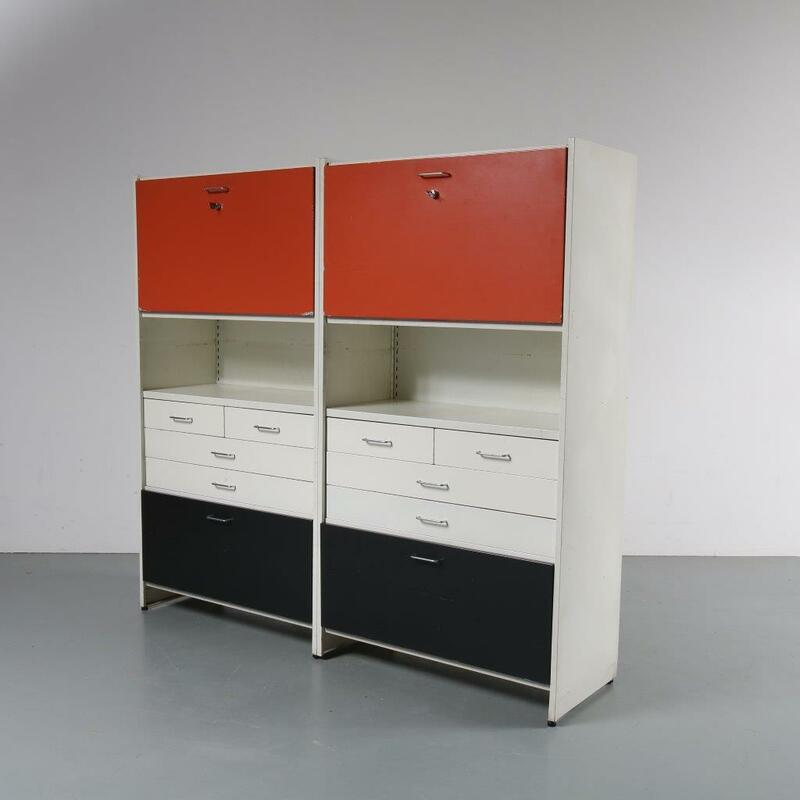 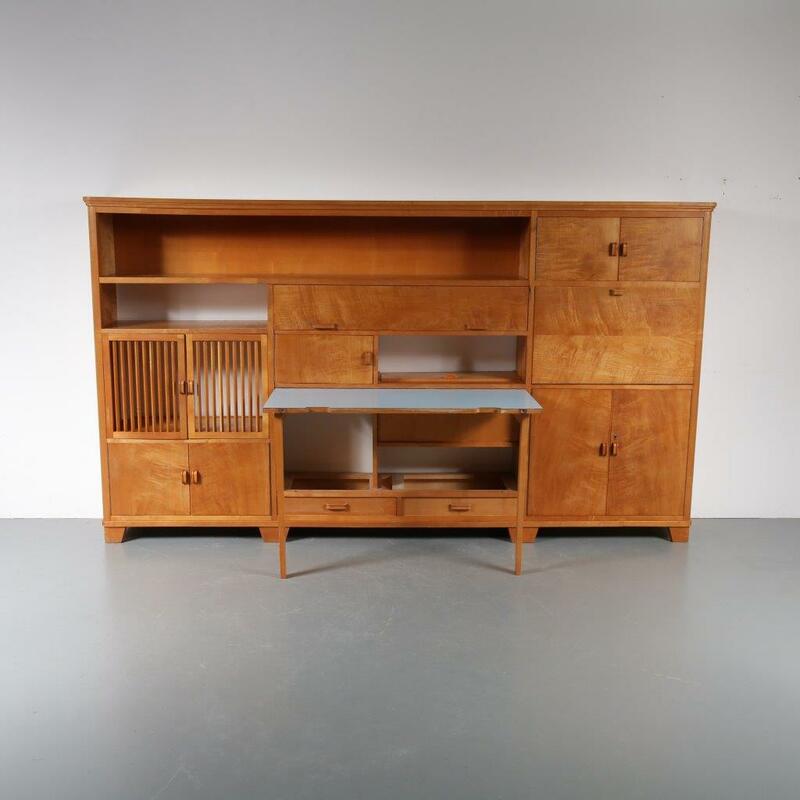 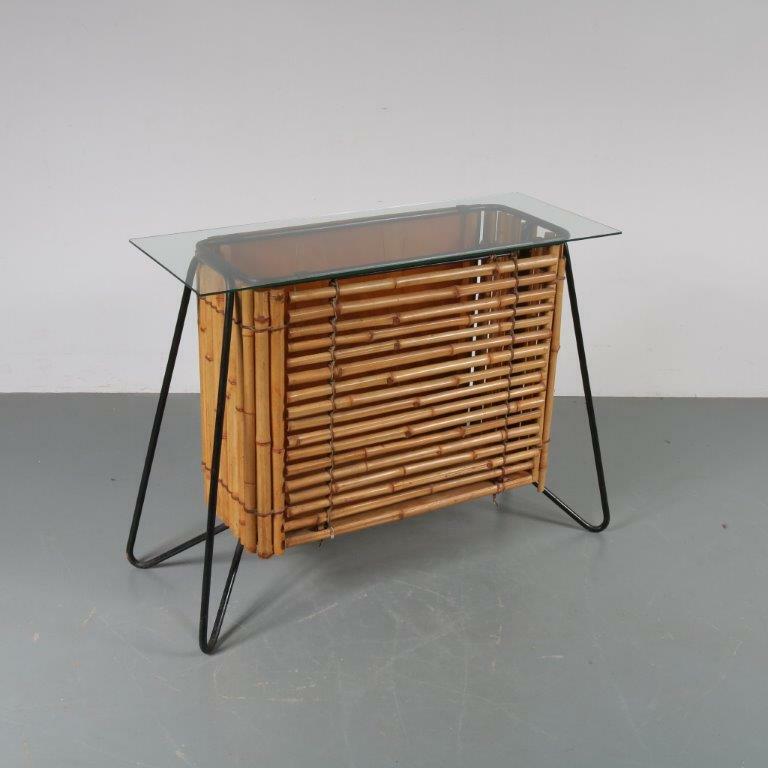 The modern, straight-forward design is typical for the midcentury Dutch style and fits this piece very well. 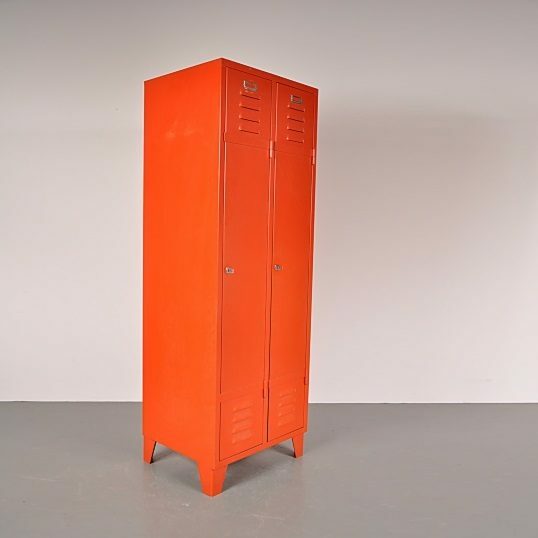 It remains in good vintage condition with minor wear, preserving a beautiful patina.